A favourite response of Christians to any criticism is, ‘it doesn’t apply to me. I’m not that sort of Christian. The people who do or believe or think those things are not true Christians.’ This the ‘no true-Scotsman‘ fallacy. You get it when you mention those Christians who believe mumbo-jumbo that’s slightly different from theirs. You get it when you ask them about any of the other deplorable things Christians do in Jesus’ name. And do you know, Christians, those very people you say are not true Christians would say the same about you. So what defines a Christian? Isn’t it that you accept Jesus Christ as your Lord and Saviour, profess him as such, and avail yourself of the salvation you think he offers? Indeed it is. And it’s precisely this that you have in common with the Westboro baptist church, with those who peddle the absurd, with those who seek to damage LGBT people, with those who use their positions to abuse others and those with different ideas about what being a Christian is really all about. You and they have bought into the same fantasy: they, like you, have accepted Jesus; they, like you, have his Holy Spirit in their hearts. That they do things you don’t approve of, or regard as embarrassing or despicable, doesn’t alter that fact. You’re all in it together; they represent Jesus just as much as you do; are as much a part of the ‘bride of Christ’ as you are. The zealots, extremists and wackos are your brothers and sisters in Christ, and if you’re right about Jesus being your Saviour – which of course you’re not; I’m being generous here – you’re going to be spending all of eternity with them. So time to knock the ‘no true Christian’ excuse on the head – it’s going to be so embarrassing for you when you get to heaven. Where does morality come from? 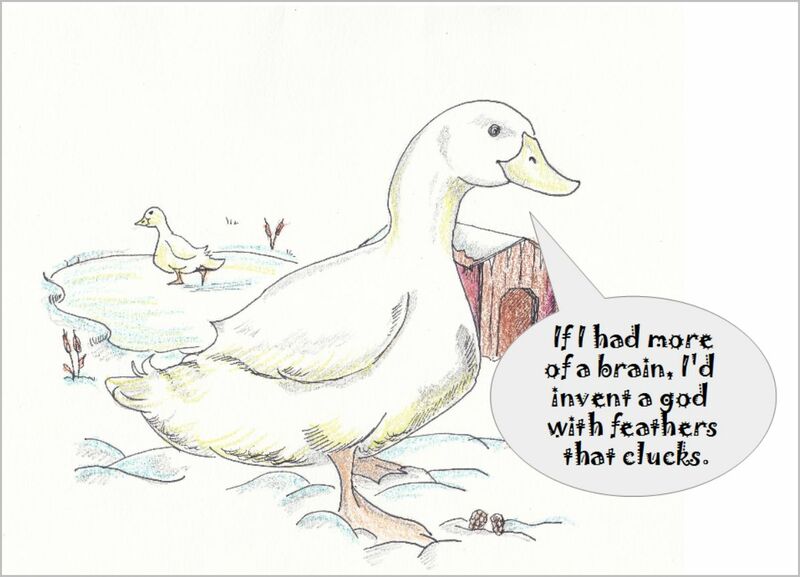 Ken Ham of Answers In Genesis says it can only come from (his) God. Atheists have no grounds for morality, he claims, because, without a God to tell them, they’ve no way of knowing the difference between right and wrong . As usual, Ham is being creative with the truth. Clearly atheists are as capable of being moral as anyone else. Equally and also evidently, Christians and other brands of believers are capable of deplorable immorality. Hardly a week goes by without more reports of Christians abusing, cheating, lying and killing in Jesus’ name. Why do Christians act so despicably when, supposedly, they have God’s Spirit inside them – that’s the God from whom all morality flows, according to Ken Ham. Why doesn’t his indwelling Spirit guide Christians so that they always behave morally, or even just considerately? I don’t have the answer. Perhaps Ken Ham or some other knowledgeable Christian can tell us. No, morality doesn’t derive from any god. It has evolved, inevitably and like much of our behaviour, from our being social animals. Living in close proximity with other humans has meant we have developed ways of behaving that take these others into account, as well as the repercussions of our behaviour on ourselves. * The principle of treating others as we ourselves would like to be treated is very old – much older than Christianity. Morality, though, is not absolute and is far from infallible. Non-believers, like the religious, make mistakes and don’t always treat others as they should. But the fact they behave well most of the time is evidence that behaving morally has nothing to do with a god, especially not the capricious, murderous psychopath of the Abrahamic religions. 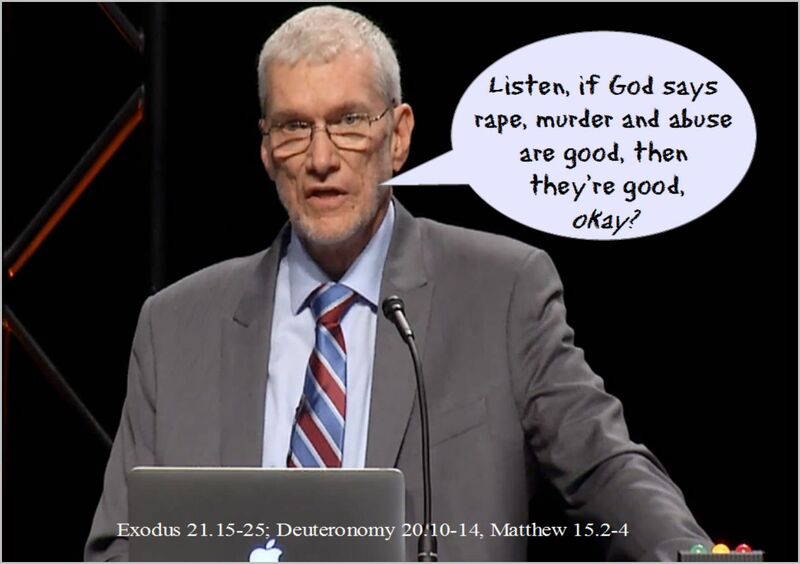 Ken Ham’s position, and that of other religionists who tell us we have no grounds for morality without such a god, is as offensive as it is absurd. * There are innumerable books that consider our moral evolution; you might like to try Frans De Waal’s Primates and Philosophers; How Morality Evolved or Christopher Boehms’s Moral Origins. 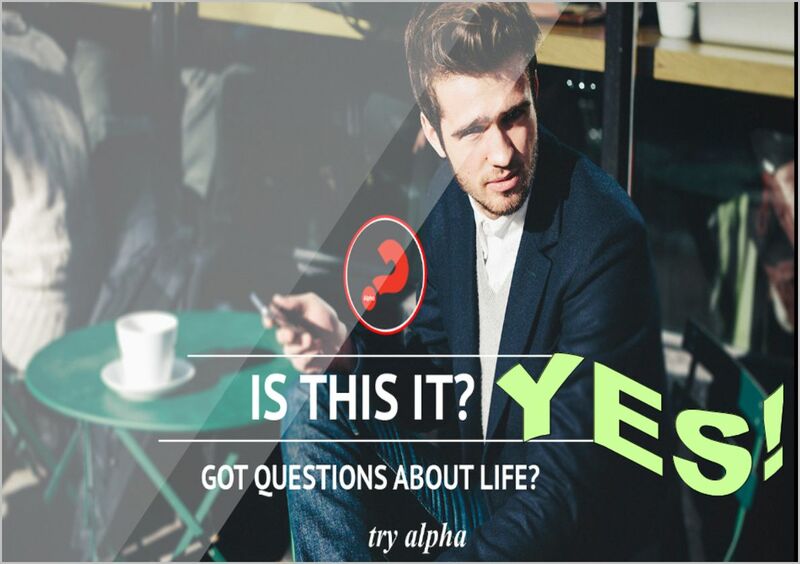 I was disappointed that my local church, when advertising the Alpha Course this year, didn’t use its usual poster. You know the one – and if you don’t it’s like the one above – that asks ‘Is this it?’, meaning both, ‘Is this all there is to life?’ and ‘Is this life all there is?’ Every year, I so much want to answer the question by scrawling ‘Yes’ on the bottom of the poster. I don’t, of course, because I’m too law-abiding to deface someone else’s property. But ‘yes’ really is the answer to the question ‘Is this it?’ and to the other two questions it suggests. This life is all there is. What you make of it is also ‘all there is’ (so better make the most of it). Of course, the Alpha Course and Christians in general want to persuade you that this life isn’t all there is, that a better life awaits you after death. They want to tell you too that there’s a life that’s better than the one you’re currently living, however interesting, challenging, fulfilling or unhappy that might be. All you have to do to have this better life – and have it last forever – is to give yourself to Jesus. 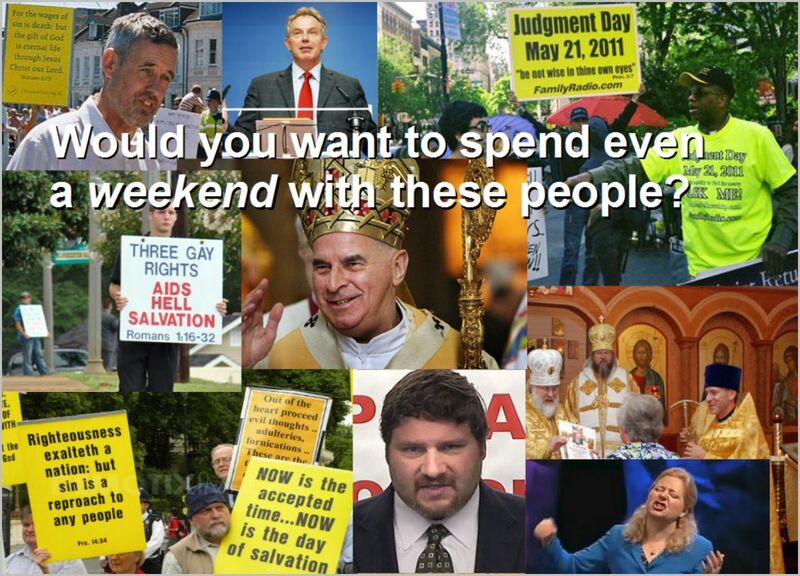 Oh, yes, and sign up for the Alpha Course too, of course. Will your life really get better if you decide to believe in a mythical figure who magically sacrificed himself to himself to save you from yourself? It might, but not because you’ll have bought into this particular delusion. If it happens at all, life will be better because you’ll have become a member of a community (a church) and will enjoy the support of others who share the delusion. It might seem better too because your church will tell you what to think about particular issues – morality, abortion, homosexuality, evolution, for example – and you will be freed, should you want to be, from the burden of thinking for yourself. But your life will not assume any cosmic significance, because nothing human beings do, say or believe ever has cosmic significance. Humans, whatever your church or the Alpha Course tells you, simply do not have cosmic significance. So, your decision to follow Christ won’t mean you’ll live forever (because, however much they might wish it, human beings don’t live forever.) It will not transform you into a ‘spiritual creature’; won’t make you beloved of the Creator of the universe; won’t transform you into the likeness of the mythical Christ. You will not have a hot-line to either the Creator nor to this Christ and so you won’t find them answering your prayers. You will not be part of any cosmic battle between God and the devil. You will not have God’s Son or the Son’s Spirit (which is it, Christians?) coming to make their home in you. You will no more be living in the End Times than you were before your conversion and the world will, though you will fail to recognise it, make even less sense than it does now. What Christianity offers is pure fantasy, the same sort of fantasy that Mormons, Muslims, Moonies and all manner of other religious believers claim as their Truth. The only difference between your fantasy and theirs will be in the detail. Of course, as a Christian you’ll be told that your set of superstitions is the real and only Truth and that all of the others are false (or the lies of the devil, or whatever.) But in reality, yours will be just as absurd, just as impossible, just as disconnected from reality as theirs. And, what’s more, you’ll go on facing the same problems, the same joys, the same pain, the same short lifespan and the same opportunities that your culture offers you, that you’ve always had. So give the Alpha Course a miss. Give Christianity a miss. Give all religion a miss. Give anything that tells you this life isn’t all there is a miss too, because this IS all there is. And thank God for that. What did you do today, God? What have you achieved today? I finished some illustrations for a children’s book a friend has written. It’s a minor accomplishment, of course, but one I like to think hasn’t added to the sum total of suffering and misery in the world (though you might want to disagree.) There’s every chance that whatever you’ve done today has been productive and positive too. That is, unless you also happen to be a deity. What are God’s accomplishments today? What has the Omnipotent, Omniscient and All-loving God achieved in the last twenty-four hours? Has he, for example, eliminated Ebola, Aids or cancer, or even helped those sinful human beings who strive to develop cures for these terrible diseases (which we would be right in thinking God himself created in the first place)? Erm, no. He hasn’t. Ebola, Aids and cancer are still with us today, their cure and prevention a little closer only because of human endeavour. Has he prevented any further brutal murders by those who claim to operate in his (alternate) name? Has he rushed to the assistance of Christians being persecuted in Syria and Iraq? Erm… that’s another no. You’d think he might, wouldn’t you, given that his own people are among the persecuted, but no. And given that ‘gentle and compassionate’ relief worker, Alan Henning, has today been beheaded by Islamic extremists, you’d be right to wonder just where God is. What does he spend his days doing? Did he, then, decide that today was the day he’d let us know which of his many manifestations is the real him – Yahweh? Allah? Shiva? Ra? One of the myriad others? None of the above? No, he didn’t do that either. He left us in our ignorance about which of the many religions, groups and sects has got it right about him. He couldn’t find the time today to tell us who it is that worships the real him, and who it is who’s deceived. Just as he couldn’t for all of the days that have so far made up recorded time. Maybe, however, he hasn’t had time to do this because he’s been too busy sustaining the universe; you know, winding up gravity and giving the Earth those little pushes it needs to make it spin. But of course, the universe doesn’t work like this. It needs no external power source to keep it going. Even if it was God who set the ‘laws of physics’ in motion at the beginning of everything (it wasn’t), they have been self-sustaining ever since. So, no, he hasn’t the excuse that he spends his days making sure everything is ticking over nicely. Does he spend them instead empowering believers to move mountains, heal the sick, raise the dead and perform miracles even better than those of his ‘son’, just like he had Jesus promise? Not so’s you’d notice. In fact, not at all. Oh dear. We really are running out of possible things for God to do. Despite the sometimes desperate state of the world, perhaps all of his time is taken up finding parking spaces for Christians and sorting out their career prospects. Perhaps he’s too busy directing the thoughts and words of his ‘chosen instruments’ (see my previous post) so they can express their hatred for non-Christians and gay people. Or maybe all of his energies go into inspiring those Holy Spirit led church services that ‘bless’ Christians but are no more than human emotion run riot. Alternatively, maybe he just spends his time being offended by everything and everybody. If these are his accomplishments over the last twenty-four hours, then, given all the things he could have been doing, doesn’t it all seem rather pathetic? This is all he can manage? Of course not. All of the triviality, and all of the brutality, attributed to him is entirely human in origin and manifestation; the beheadings, the euphoria, the offence, the vitriol. All part of the self-delusion that is ‘faith’. There is no God doing all these things, no God who manifests himself in the operation of the universe, in human suffering or the pleasures and happy coincidences of life. It’s possible, I suppose, that there is a god somewhere, one without any interest in human beings and life here on Earth, but then he’d be even more irrelevant than the impotent gods we’ve invented for ourselves. As Ariane Sherin famously said, ‘There’s probably no God’, with the ‘probably’ looking ever more redundant.